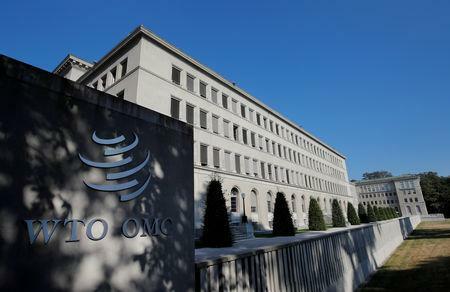 The agenda for an Oct. 29 meeting of the WTO's dispute settlement body on Friday confirmed the legal moves, which Reuters reported late on Thursday. Opponents of the 25 percent U.S. duty on steel imports and 10 percent on aluminium say they breach WTO rules. Washington says they are a national security matter, and therefore outside the WTO's jurisdiction.